Last week's launch of Bikers featured loads of new gameplay including Clubhouse Contracts, new Business opportunities and more - alongside 13 new vehicles and a host of other additions - in one of the biggest GTA Online updates to date. Today, two new vehicles have been added to the roster of available rides. Plus, Dynasty 8 has answered the prayers of many players with the ability to purchase a sixth property. 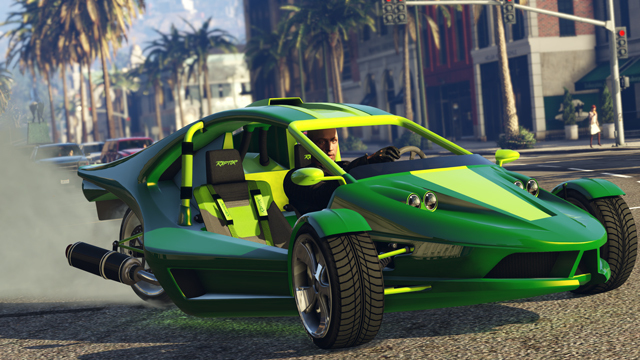 Hitting the streets of Los Santos this week are the Daemon Custom and the Raptor. The new Daemon is the perfect way to let every passerby know you belong to a long and distinguished tradition of gangland chic. But if you crave that mixture of awe, confusion and arousal that only a turbo-charged three-wheeler can inspire, the Raptor is the ride for you. Already filled every square inch of garage space with cars too beautiful to sell? Stuffed your Clubhouse with as many perfectly modded rides as it’ll hold? Or are you just sick of having only one luxury apartment for every day of the working week? Your pain is real, but so is the cure: you can now purchase a sixth property. Starting today, and running for a full two weeks through October 24th, take advantage of a new set of GTA Online discounts and unlockable rewards. 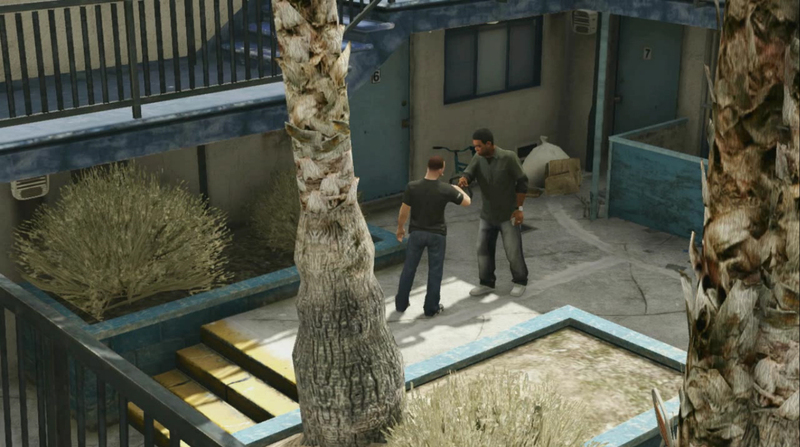 You'll receive a black Western Logo Hoodie just by logging into GTA Online at any point over the next two weeks. There's also Double GTA$ & RP in the new Slipstream Adversary Mode, along with a special Double GTA$ & RP Playlist featuring a selection of Stunt Races (to join, just hit the prompt on the GTAV launch screen or select the Stunt Race Playlist from the Rockstar Playlists in the pause menu). If you need extra back-up for your newly formed Motorcycle Club or you’re looking for a break from police attention, both Lester and Merryweather have cut their prices in half across their entire catalog of Services. Those looking to make over their vehicles can head on over to Los Santos Customs where you'll receive 25% off Resprays, Tire Smoke, Rims and Turbos. And Ammu-Nation is trimming 25% off all Bullet Ammo, Tints, Body Armor, Throwables and Drum & Box Magazines. During the bonus period there's two Premium Races on offer. Now through October 17th, zip through the trees at top speed in "Forest" (locked to Bikes). Don’t worry about opponents forcing you into the nearest tree trunk as the Race is also locked to Non-Contact. Then from October 18th through 24th, it's the gravity-defying "Double Loop", locked to the Super class. All Premium Race participants earn Triple RP and have a shot at taking down GTA$ prizes for finishing 1st, 2nd or 3rd. All the bonus GTA$ you earn during that period will be automatically deposited as one lump sum in your in-game Maze Bank Checking account by Friday, October 21st. You can purchase Shark Cards in-game or via your favorite online or local retailer. Spend wisely, cash therapy is fleeting. More details here. 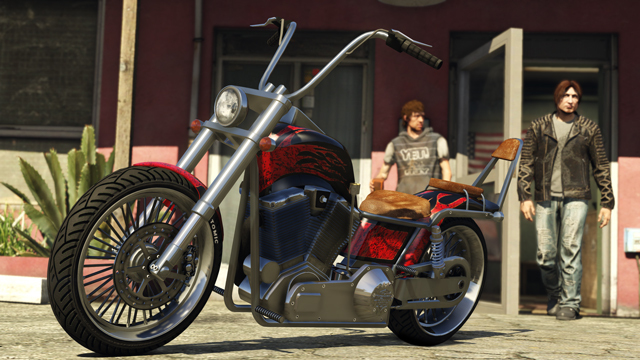 GTAO Bikers: 2 New Vehicles & 6th Property - Two more vehicles have been added as part of the GTA Online biker update and you can now purchase a 6th property.